The most innovative alternative since the invention of the seed drill! The working width can be steplessly adjusted between 2 and 24 metres. 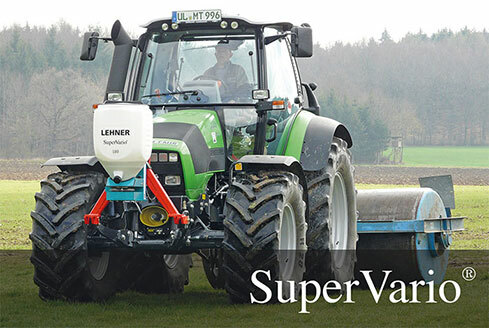 The variable spreading width is achieved by steplessly controlling the SuperVario®'s spreading disk between 200 rpm and 3000 rpm from the comfort of the driver's cab. 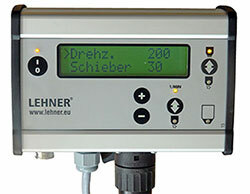 The control panel also comes as standard with various monitoring functions such as the empty indicator or automatic slider monitoring. The preparation for headland management (VGM) also comes as standard. Seeder volume is controlled from the tractor seat. Key parts made of stainless steel. Digital electronic controls (computer operated from tractor seat) for spreading from 6’ - 72’ (1.8m - 22m). 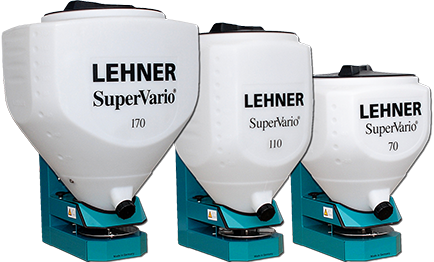 Variable spreading is made possible by the continuous regulation of the spreading discs, between 200 and 3,000 RPM. Operating guide gives settings for a wide range of seed and seeding requirements. Visual and sound error monitor/display.